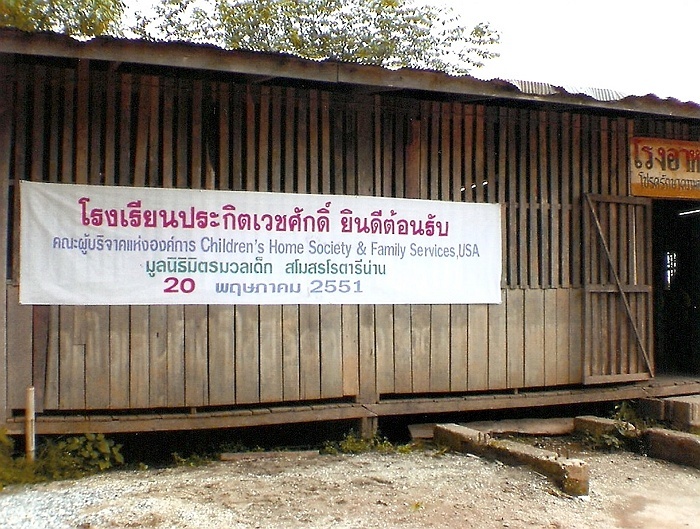 In January 2008 we completed our sanitation project in Nan province sponsored by Children’s Home Society & Family Services, USA. 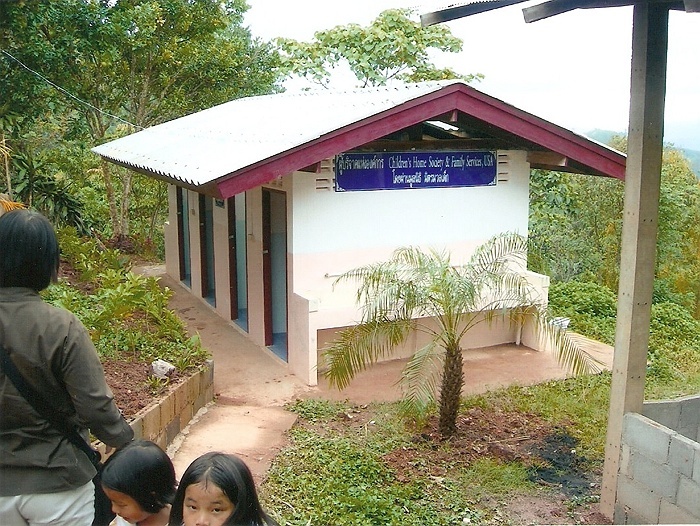 This project built two toilet buildings, boys and girls, replacing crumbling shared facilities at the Prakitwechasak school. 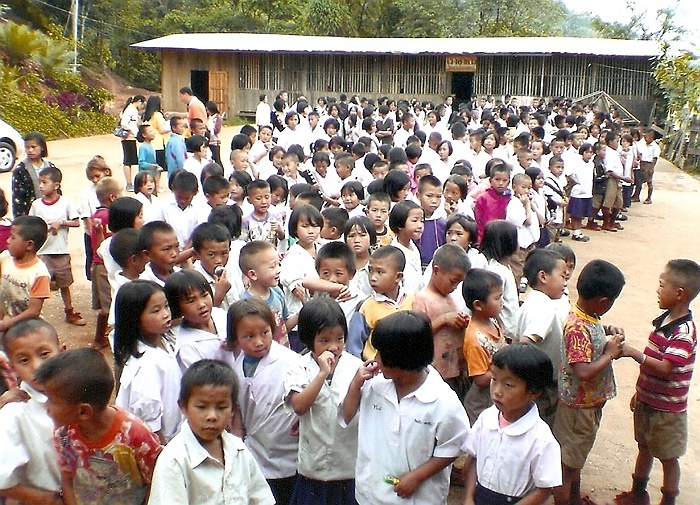 There are 400 Hmong hilltribe students at Khunsathan village in the high mountains of Nan province. 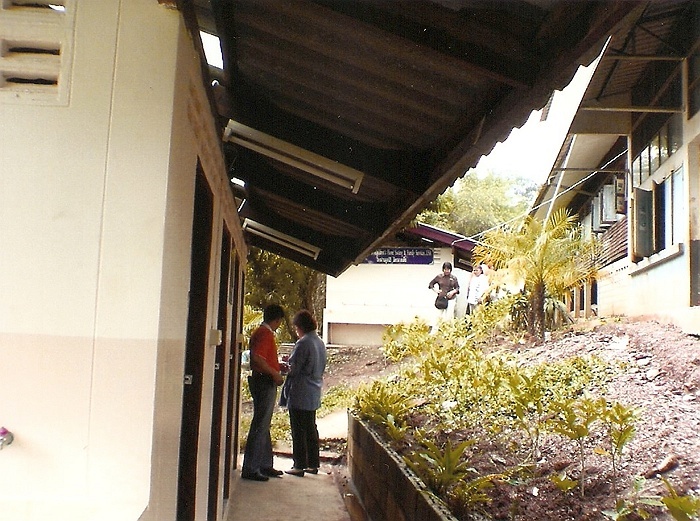 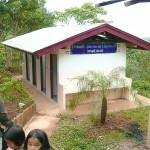 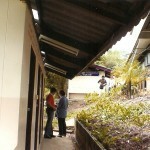 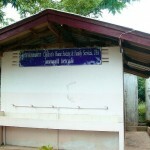 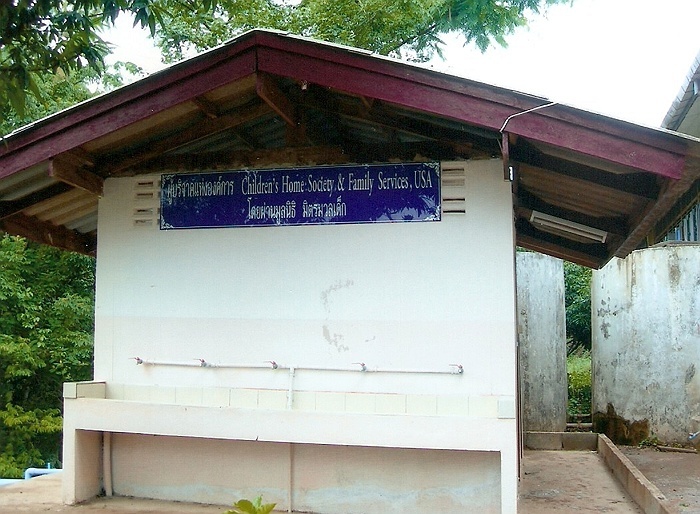 The facicilies (pictured above), show the new two toilet buildings complete with their new hand washing stations. 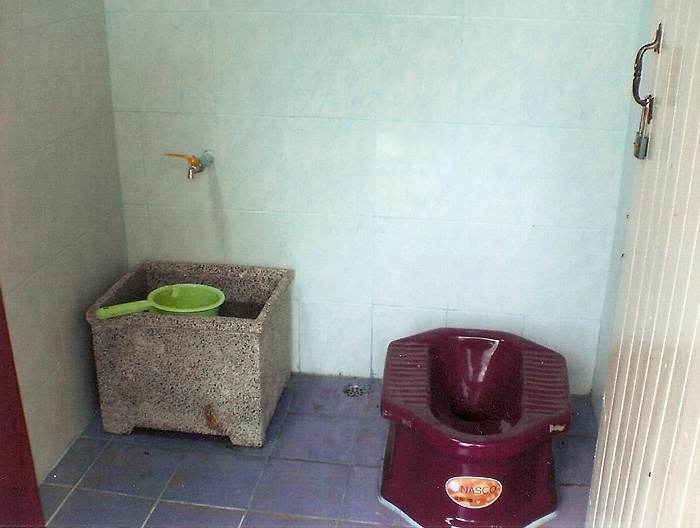 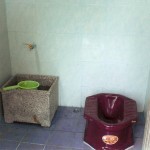 The new toilets include new ceramic toilets that replaced old worn out concrete facilities. 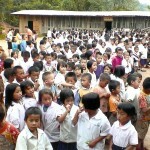 We are also including a picture of some of the four hundred students that will be utilizing these new sanitary facilities. 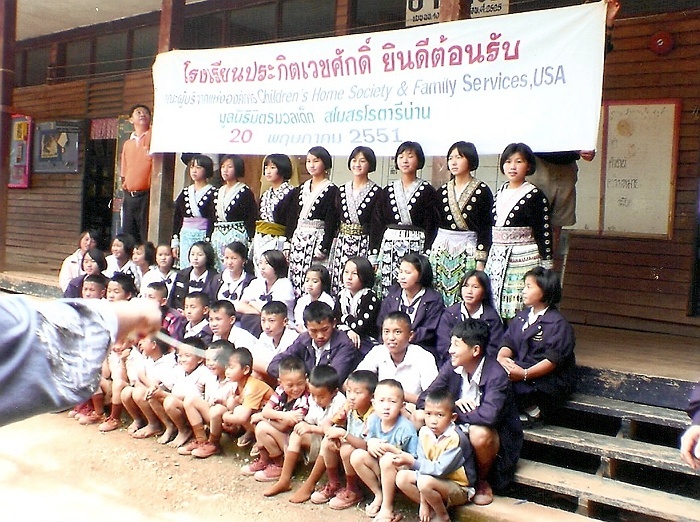 The students are very proud of their school’s improvement and wanted to express their thanks to the Children’s Home Society & Familiy Services, USA. 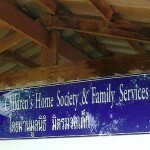 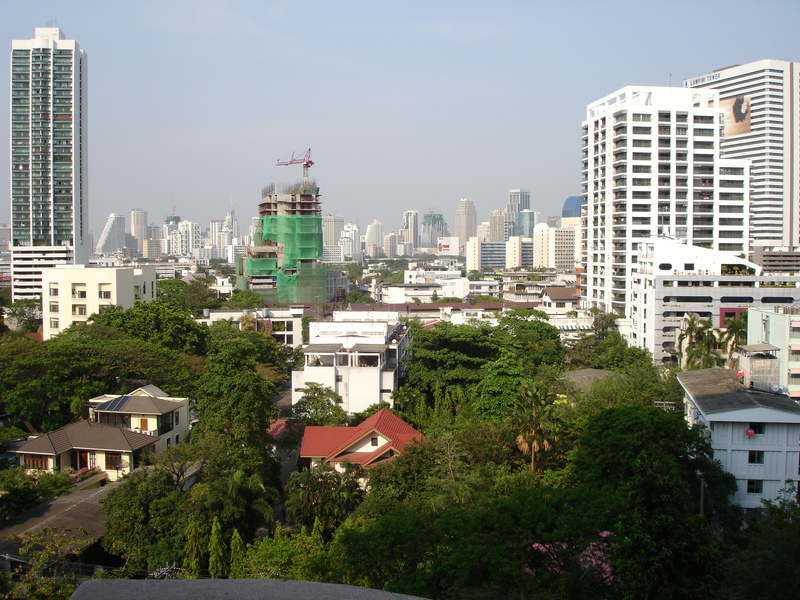 Hopefully, this will be just the start of many more successful projects between the Children’s Home Society & Familiy Services, USA and Friend for all Children Foundation, Thailand. 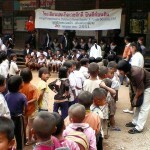 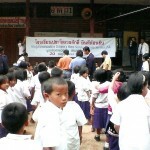 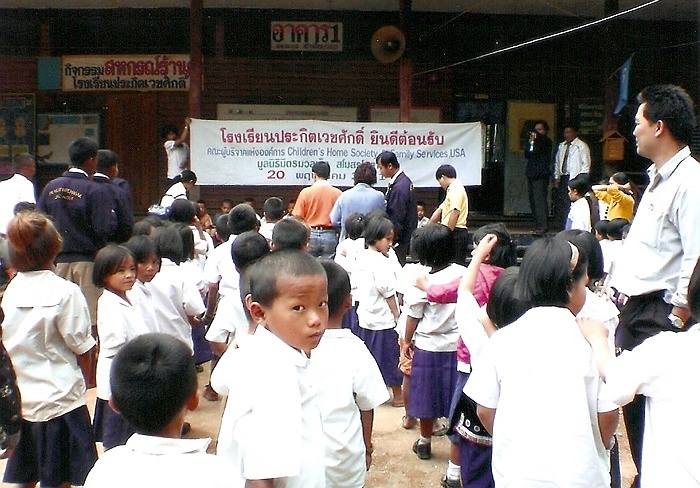 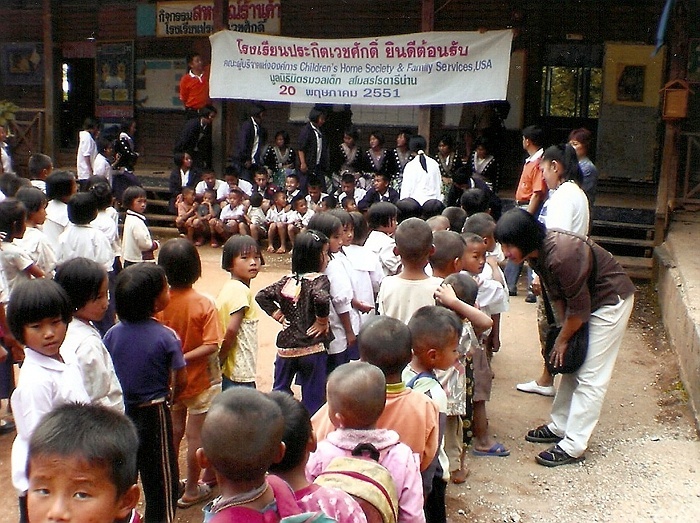 Photo of some of the students at Prakitwechasak school in Khunsathan village. 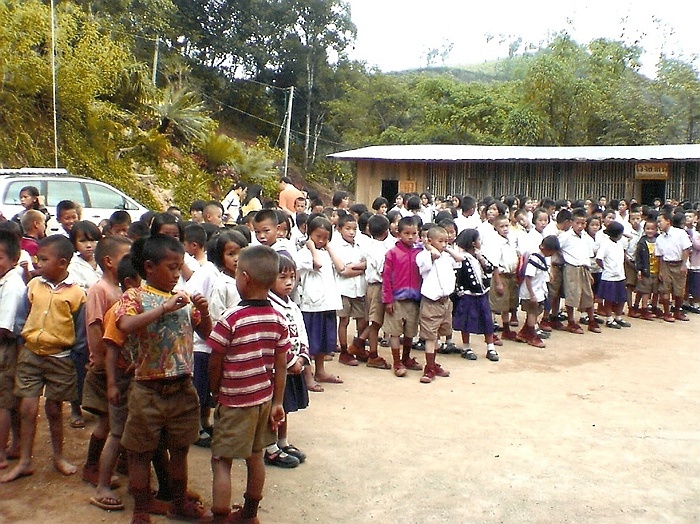 Please notice the bacl row of standing students wearing their native dress complete with their unique fabric designs. 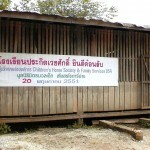 Again, this was their effort to express a special thank you to the donors.